"I am so grateful for all my dancers, but am especially grateful to the parents that have opened up the world of dance up for their child. 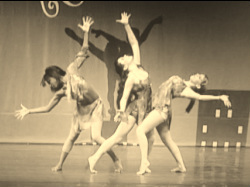 It has always been my passion to teach dance and own my own studio. My focus starts with the young dancers to mold them and prepare them to enter the wonderful world of dance as professional dancers. I give personal attention to my students, by mainting smaller class sizes." 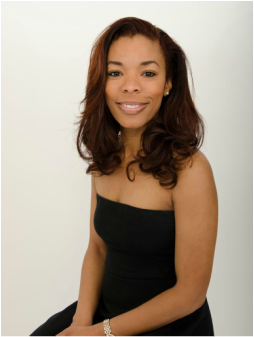 -Hip-hop instructor for Girls Inc.
-Lead role of Clara in "Ballenthnic Ballet Company's" "Urban Nutcracker"
-Ted Levy, "Bring in the Noise, Bring in the Funk"
She also danced at the 1996 Summer Olympics Games in Atlanta, GA. Ms. Amanda did several summers in dance exchange programs. While in high school, Ms. Amanda studied the art of dance at Brandywine Dance Center in Wilmington, DE and Broadway Dance Center in New York City, NY. Not only was she studying the art of dance and competing, Ms. Amanda was an All-Star cheerleader at McKean High School and participated in the UCA and UDA organization, where she danced and marched in the Macy's Thanksgiving Day Parade in New York City and cheered in New Years Day Parade in London, England and cheered for the Queen of England. While studying to receive her B.S. degree in Biology, Ms. Amanda danced in the dance ensemble and band front of Morgan State University. Her Senior year in college, she was chosen as a Baltimore Raven's Cheerleader. After graduating from college, she started teaching dance at Christina Cultral Arts and Heidi's Academy. 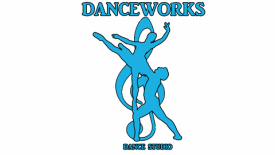 Ms. Amanda started Danceworks Dance Studio in 2005. Ms Amanda's background in dance includes: Ballet, Tap, Jazz, Lyrical, Hip-hop, Modern, African, Contemporary, Pagentry, Gymnastics and Cheerleading.